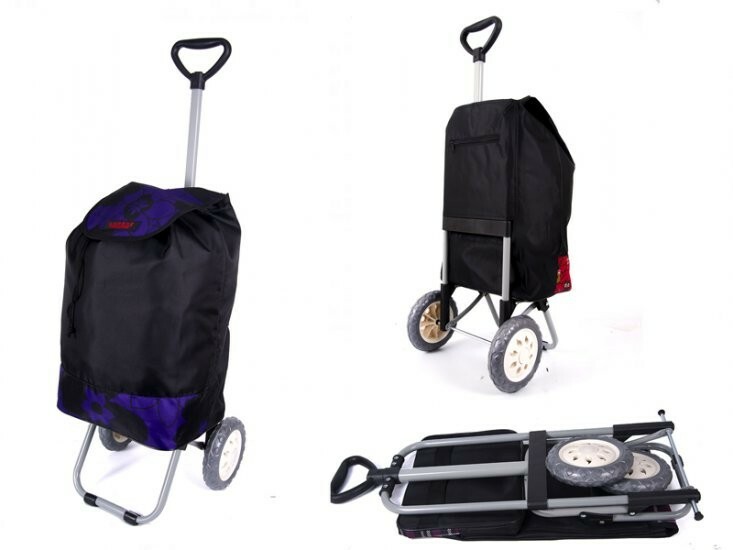 Lorenz 2 wheeled shopping trolley with a drawstring closure, rear zipped pocket and a telescopic pull out handle. 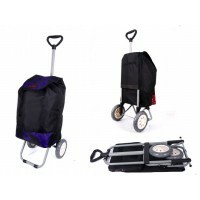 Can be folded flat when not in use for easy storage. Metal trolley height is 95cm.